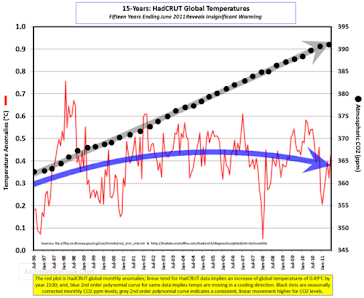 American Thinker shows how US temperature readings have been selected/modified for a warming bias and the evidence of tampering is damning when an 11 year average is taken for each of the station groups across 48 states. This part of a general re-writing of data retrospectively to fit alarmist "science"
The most accurate readings are obviously the rural readings as they are not contaminated by UHI. The Temperature Adjusters do not limit their activities to the US as complaints from the Russians are similar. 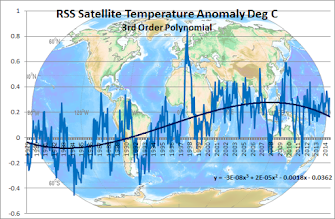 If there was no significant warming in the US over 100 years it beggars belief that the world was going in another direction. We have also, courtesy of Hide the Decline a National Geographic picture of the Northern Hemisphere temperature profile - not much like the "adjusted version" is it? 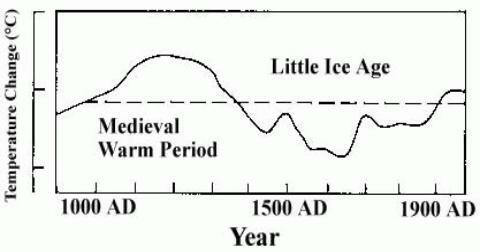 All these graphs are now "adjusted,corrected and massaged" to agree with the Global Warming view of science and are now unrecognisable in comparison to the original. OK so we have been lied to by a crook bunch of mythologists, or was that scientologists (same bunch of crooks) because it simply could never have been true scientists! But whoever they are there has to be a leader - the person who said "lets pretend to warm the world and fill our pockets with money". We will get away with the subterfuge for years if we stick together". So who is the individual or individuals who hatched the plan? I am somewhat lost as to a suggestion but whoever he or she is they had the clout to convince many leaders around the world to join the scheme. World conspiracy? You said it before me!